Dwight and Kathleen have pulled together an excellent selection of tri clothes for the 2011 season. Orders must be in by 11 March so take a look at the gear and how to place your order in the Members Only section (e-mail ccac@capecodathleticclub.org if you need the password). Get your check in the mail as soon as possible! We’ll be stylin’ in our new 2011 racing attire so don’t be left out! The gear lady will be manning a table at the Hyannis Marathon expo tomorrow from 12-5PM so if you’re looking for some early spring kit, be sure to stop by. And the new CCAC jackets are in! If you ordered a jacket, you can pick it up tomorrow. It’s Hyannis Marathon weekend, another sign that Spring might actually be headed our way, and here’s what’s happening this weekend. Don’t forget – if you’d like to be part of the fantastic event on Sunday but aren’t running, we still need a few volunteers. Send an e-mail to President Eckerson as soon as possible if you’d like to help out. 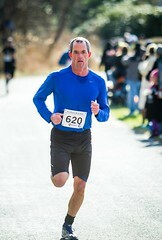 Friday Night 5 – meet at Hanlons Shoes at 7:00PM for a 5K fun run around town with 1976 Boston Marathon winner Jack Fultz. Saucony will be on-hand at the store beginning at 5:00PM to introduce you to their new shoes, the Mirage and the Triumph. After the run, head across the street to Palio Pizzeria for pizza and beer. Expo – the main ballroom at the Resort & Conference Center will be filled with vendors from 12-5 if you’ve forgotten something, need some new shoes, or just want to do a little browsing. You’ll also be able to beat the morning crowds by picking up your race number and timing tag here. Pasta dinner – Jack Fultz will talk while you load up on groovy carbs for tomorrow’s race. The pasta dinner runs from 6-9PM at the Resort & Conference Center. The races – races start at 10:00AM on Sunday with a 9:30 early start for those who may need a little extra time. Volunteers should have been contacted by Ecky by now about where and when to meet and if you haven’t, send him an e-mail as soon as possible. 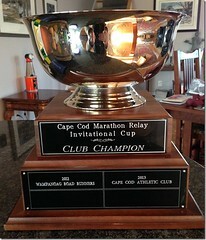 If you’re running Boston this year, how about participating as part of a CCAC team? 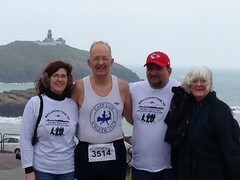 Contact Bill Masterson by the end of this week if you’d like to be a part of team CCAC. 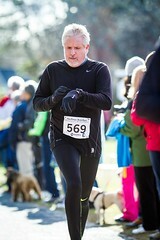 Send an e-mail to ccac@capecodathleticclub.org if you’d like Bill’s phone number. 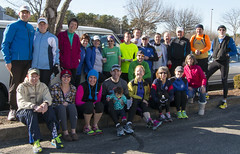 And to round out your racing schedule, here’s the 2011 New England Runner Pub Series. Note race number 5 which is pretty close to most of us.